For more than two years, my home community of Maple Ridge has been waiting to see a private-sector vision for a key parcel of land in the town centre. 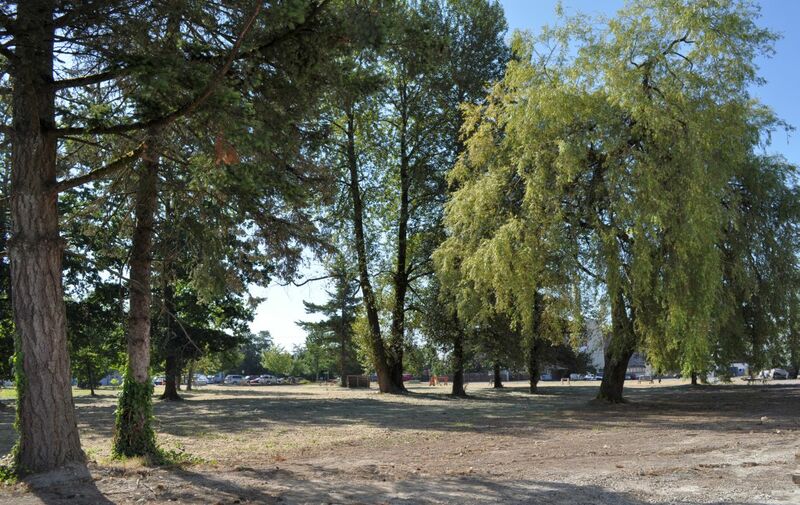 The vacant three-acre site, bounded by Selkirk Avenue on the south and 119 Avenue on the north, with an interior street through the middle, is critical to the future of the Maple Ridge Town Centre urban village. Careful development, if it occurs, will bring pedestrians and new life to the city’s core. 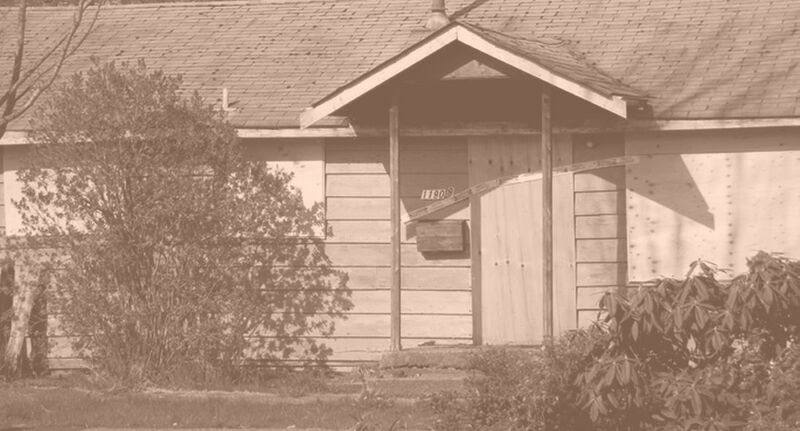 Until 2011, the unnamed area I’ll call Selkirk East was dotted with crumbling 1946-era veterans’ bungalows. In January of that year the municipality announced it had bought every lot. The tenants were relocated and the houses swept away. At public meetings, officials displayed a rendering of a Yaletown-style tower on a podium to stimulate interest. I don’t see the rendering on today’s municipal website, or any reference to active proposals, although officials have disclosed that one concept was received and dismissed as unsatisfactory. The Falcon Centre condos, at the edge of the Selkirk East property. The development choices have been pre-empted to some extent by a new four-story apartment building adjacent to the Selkirk site. The rendering to the left shows a future twin (in ghostly outline) just up the street. If nothing else, these Kitsilano-style structures will influence the style and orientation of the bigger Selkirk project. In fact, our mayor said recently that he would support the replication of the Falcon Centre pattern across the Selkirk site. With the mayor and council still seeking input on how to proceed with this potentially make-or-break decision, here are a few suggestions from Fraseropolis.com. 1. Build the urban pedestrian environment. There’s a rare, fragile sliver of urban life on 227 Street, with bistro tables on one side, fruit stalls opposite, and boulevard plantings all around. Build from there. Ensure that the development looks outward, not inward. Focus on the pedestrian experience. Move the structures back from the sidewalks, and let in some green. Can we save some of the trees? Create safe, interesting walking connections toward the village centre. 2. Put the parking underground. There is more than enough surface parking in central Maple Ridge, and it multiplies the walking distances between useful services. Consider the possibility of public paid parking. It worked in the municipal centre. 3. Include housing for families. Downtown, transit-oriented housing is great for single workers and seniors, but the presence of children adds diversity. How about a few larger apartments? Include a play space on the site. 4. 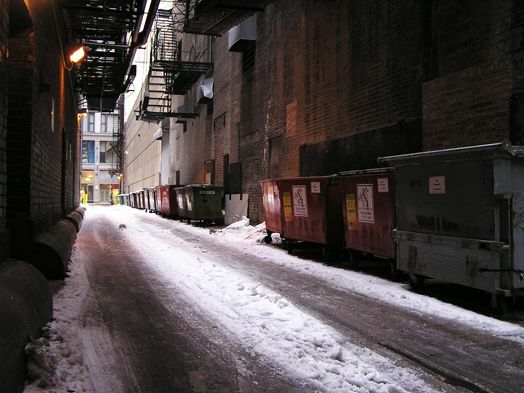 Don’t give away the interior street as a garbage lane. The new Falcon condos appear to be moving us in this direction. Make the lane into a safe, interesting (blah blah blah) east-west connection for pedestrians and cyclists. 5. Keine volksplatz, danke. Until the Martians land and summon us to assemble, we have no need for the ugly, empty concrete plazas that past architects have given us in the name of public space. Give us functional space or green space. 6. Don’t do the full Kitsilano. Four stories with commercial on the ground is cuter than decaying shacks, but it’s boring when it becomes the rule. I would like to see variety in building heights up to six or seven storeys, some second-story commercial use, and some active open space such as a playground or community gardens. Who knows what will emerge in the end? Maple Ridge is politically volatile, and the quality of development is uneven. The automobile is king, even in the town centre; a section of the Lougheed Highway retail row was recently walled off to satisfy the inventory control needs of a dollar-store chain, and the only entrance to their biggish new retail store is from the rear parking lot. This is an example of development looking inward, not outward. As for the title of this piece: we used the term “Aesthetic Maple Ridge” in a slender book about the local cityscape published in 2011. Maple Ridge is a Canadian municipality of 75,000 people on the eastern edge of the Greater Vancouver Regional District, bordering on the Fraser Valley Regional District.